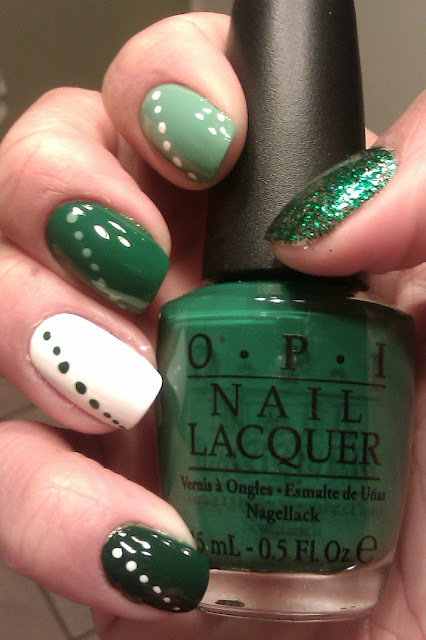 I was inspired to create a St. Patty mani with my dotting tools that I have not used as of yet. My cousin sent me a picture of her manicure which featured this cool dot design using alternate colors. 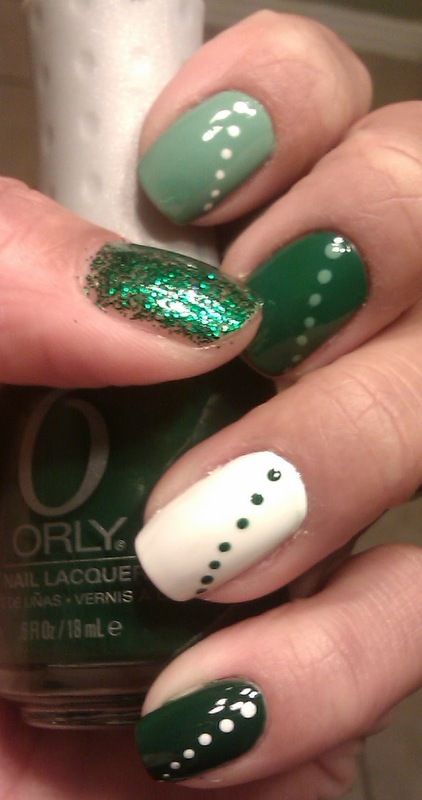 I was so surprised at how easy the dotting tool was to use. Definitely will incorporate into my future manis. For the thumbs I used Jade: Sparkle Emerald and I caked it on as best I could but still didn't get the coverage I wanted. I should have used a different base color. Thoughts? Feelings? Concerns?